Home ASIA Modern Diplomat – Just A Click Away! Modern Diplomat – Just A Click Away! India’s Consul General in New York Sandeep Chakravorty photo on Twitter page. India’s Consul General in New York Sandeep Chakravorty, combines a level of whimsy and seriousness to the business of diplomacy. Going by the Twitter handle ‘Chakraview’ and writing humorous recipes are the lighter side of a man with a serious vision – to make the Indian Consulate more responsive than ever before, to the public it serves, whether it is Indians living here, or India’s relationship to its Diaspora and to the United States. A man of many sides, Chakravorty is a Physics graduQte from Delhi University, with a degree in Advanced Studies in International Security from Geneva University, a Master’s in Sociology, and a Post Graduate Diploma in Forestry Management. His journey into the foreign service ran though a sojourn in the world of non-governmental organizations committed to environmental conservation. Fluent in Hindi, Bengali, English and Spanish, he served as an Ambassador in Peru and Bolivia, served in India’s Missions in Bogota, Colombia and Madrid, Spain; as Deputy Chief of Mission in Bangladesh, and in South Block. Chakravorty is married to Taruna, a Ph.D. in Spanish Literature. The couple has twin girls, Nandini and Ishani, both set to go to college next year – “we don’t know where,” said Chakravorty during an extensive interview with Desi Talk. Since he came to head the Mission in New York August 2017, Chakravorty says he has tried to make the Consulate more responsive to the public. Be it non-resident Indians, tourists, Indian-Americans, businesses and academicians interested in India, or the culture and art communities, CGNY has stepped up both the technology and the human touch to its outreach on the East Coast of this country. How does it feel to live in New York City? I have been here before but only for a few days at a time on work. Living here is quite different. It is a great city in all respects; It is really a city as people imagine it to be – tall buildings, parks, culture, a lot of character. It has its own flavor. 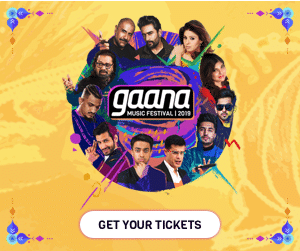 It’s a happening place, including from the point of view of India-U.S. relations with lot of connects with the Diaspora. You seem to be a person with a lot of diverse interests – a physics graduate, an environmentalist, international security, culinary arts … How did you choose to join the Indian Foreign Service? My life experiences are partly by choice and partly by chance. It is not so diverse. In the United States I find people with more diverse talents. I’m at best mediocre. Forestry management was something that was a big concern in India in the early 1990s. A lot of work was being done in the field. It appealed to my heart. And I did justice to it by working with non-profit NGOs to develop the environmental movement, watershed management etc. I am very proud of where I worked – a pioneering organization – Society for Promotion of Wasteland Development. I also worked with the Swedish International Agency. Then life took a turn and I went into diplomacy. I think it was the influence of friends and colleagues. But in this job also, whenever I interact with environmental organizations, I have gone the extra step. In Peru for example, I worked with local communities on a forestry project – a greening movement – greening a deforested hill in a very dangerous area. It is still operating. I feel very proud of it – especially when every now and then they send me a picture of the greenery. Here in New York City, I brought together a lot of non-profit organizations under the initiative – United for Impact in India. 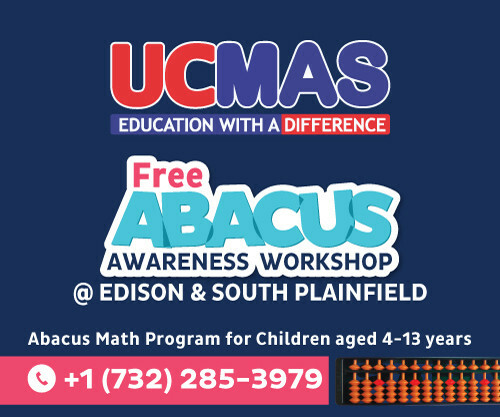 Twenty five non-profits came to the meeting – from Akshay Patra to Magic Bus. I had to even refuse some because of constraints. Now we are looking to do another meeting. I find a lot of U.S. non-profits working in India don’t know of each other’s work. There’s so much that they do. Raising funds is not easy, but there hasn’t been somebody to bring them together — which I was happy to do. I have heard that since that first meeting, some organizations have joined in helping each other. What do you consider your greatest achievement in New York so far? I don’t know about ‘greatest achievement’ but what gives me satisfaction is I’ve tried to make my Consulate very accessible — whether to the common man, tourist, business, etc. We are proud to connect with anyone who reaches out to us. And that’s not the case with other consulates. We are very responsive. 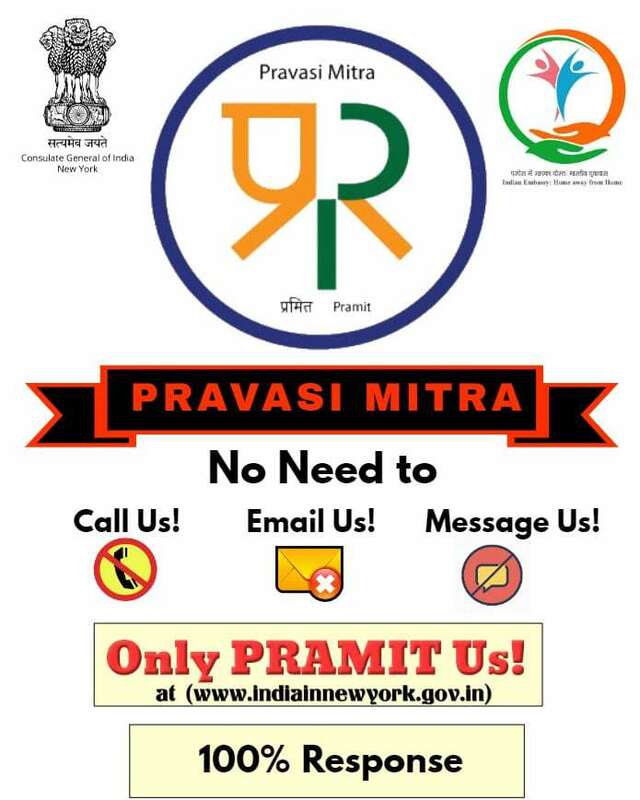 We are taking that to a different level now with Pravasi Mitra – an online system developed by us in our Consulate, including the logo – an entirely bottom-up. Consulates get messages on all platforms – phone, email, Twitter, Instagram, etc. And if I don’t respond say even to an email, it is gone. So I have told people — ‘Pramit Us’ – click on the icon on our website no matter what the query is – we guarantee you 100 percent response. Over the 65 days that Pramit Us has been working, we have sent 3,000 responses. In the Pramit system, you can attach files with your queries, and everything is on record. Our dashboard in the Consulate responds, even though we are tight on staff, but we keep track. At the end of the day, the Consul General will see who has not been answered. I’m very happy Pramit has caught on. I had presented it at the Consuls General conference, and (India’s) Ambassador Harsh Shringla said he would introduce it around the U.S. If you ask me later what has been my greatest achievement – that will be my feeling of greatest achievement. 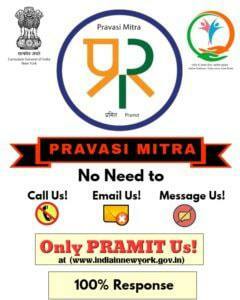 And for sure, if Pramit is introduced around the U.S., it will certainly catch on around the world in our Missions. What are some of the other highlights in your tenure? Another area of satisfaction for me is the New India Lectures of which 9 have been held so far. We have very eminent speakers and this year, we will soon have Indra Nooyi (former PepsiCo chairman), and Arun Jaitley (India’s Minister of Finance & Corporate Affairs). We’ve also launched an Executive Education Program — India 360– with Carnegie Mellon University and Pittsburgh University. It is a three-day crash course for anyone who wants to know India – from Bollywood to IT. GOPIO officials met with the Consul General of India in New York Sandeep Chakravorty, in New York. What do you think of the Indian-American community in this country- especially in the tri-state area? 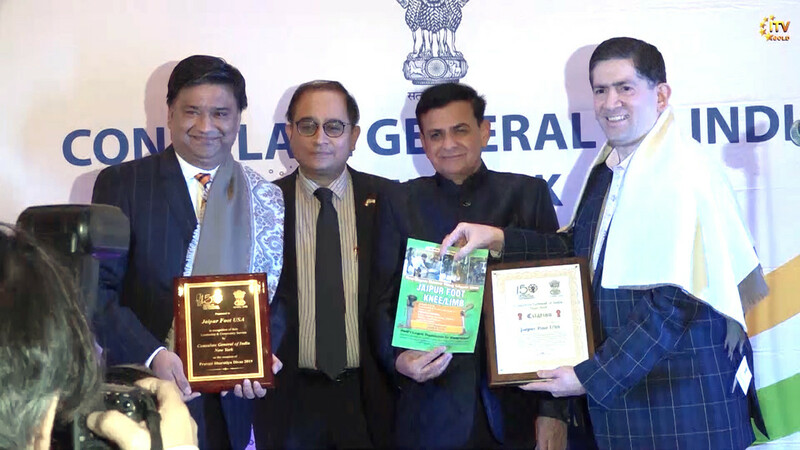 Padma Shri Dr. Sudhir Parikh, the Founder and Chairman of Parikh Worldwide Media (2nd from right), with the Consul General of India in New York, Sandeep Chakravorty (2nd from left), and honorees Manish Dhahdda and Rajendra Bafna, the Vice Chairman and Secretary of Jaipur Foot. First of all – it is an overwhelmingly large number in this Diaspora. Sometimes you feel you are still in India and not the United States. You don’t basically miss your home. People who come to the Consulate, people you meet at events, eat meals with – all Indians. They may have become American, but they follow India and Indian events, culture, everything. One thing I noticed – Indian-Americans have more time for us than the Indians living here. Indian-Americans are very close to us. Very involved with us. Technology is a factor too. Today you are just one WhatsApp click away from being aware of what’s happening in India. They are aware and very participative. Short of voting, Indian-Americans are doing everything. Sometimes they forget they are not Indians, and they expect us to bend the rulse. And that is not fair. Some of the unsavory aspects of our work nowadays involves dealing with domestic violence, marital issues, children and custody issues. These are coming up more. On the lighter side of things, I read that you are also interested in food, more than just eating it. Is that so? I would like to leave a legacy where when people talk of me after I leave – it brings a smile to their face. No Frying, Effortless, Light on Stomach and Palate. Also Light on your Wallet. We all know misers. They are loath to giving, even 1. This is for them. Everything is in 1s. It’s also miserly in adding to your inches. In return you’ll get 10s of praise. 1. 1 kg mutton (goat or lamb). Cleaned and made into small pieces, 1+1 inch cubes or so. 3. Clean the mutton and wash it. Add salt, turmeric powder, chilli powder, coriander powder, 1/2 glass of thick curd, a blended paste of the onion, garlic cloves, ginger and the tomato, peeled and diced potatoes pieces ( biggish pieces), 1 table spoon of mustard oil and mix it up, cover it up with 1 plate and leave it for 1 hour. 4. Take 1 pressure cooker. Put it on 1 burner and when the pot is hot, add 1 table spoon of mustard oil. After the oil is heated, add 1 big elaichi (black cardamom), 1 stick of cinnamon (broken into pieces), 1 big bay leaf, 1 small tea spoon of cloves and allow them to brown & flavour the oil. 5. Reduce the flame and pour the marinated meat into the cooker along with the marinade and potato pieces. Turn it over. Add 1 glass of water, mix it for 1 minute and put the lid on the cooker. Put the flame back into full. 6. Take 1 break and let the cooker whistle. Not 1 but 3 (no point being miserly here). Switch the gas off and let the steam go out on its own, don’t take out the weight, be patient (misers of course have abundant patience). 7. Open the lid and check for salt and tenderness of the meat (if meat not tender, who knows which cheap store you bought it from, give it 1 more whistle). If all OK add the rest of the curd or alternatively the can of coconut milk, 1 table spoon of pure desi ghee along with 1 table spoon of good quality garam masala and mix it up nicely. Hold your pride and just lick it up a bit to check the taste. Remain miserly and don’t polish of the meat meant for your guests. 8. Pour it out into a beautiful bone china serving dish ( the one you have kept away for special occasions, well this is the moment, bring it out) and garnish with nicely diced coriander leaves. 9. Serve to your guests with hot rice. 10. Take and share pictures. Don’t be miserly here. It costs nothing yet makes you famous. 11. Give credit to the originator of the recipe. The 1&Only.